Jesse K. Bolling turns himself into whatever lawyer his clients need. If a problem requires a quick, cheap and confidential settlement, Mr. Bolling steps in to help the parties reach an amicable and fair resolution. If the issue requires prolonged litigation, Mr. Bolling has and will take any case to trial. His trial teams are undefeated, securing defense verdicts and judgments that, in the aggregate, total to more than $350 million. In addition, Mr. Bolling’s clients often ask him to serve as outside general counsel. In doing so, he provides day-to-day counseling on a broad range of legal issues. Mr. Bolling’s clients have included publicly traded companies, privately held corporations of all sizes, law firms, and high net-worth entrepreneurs and business owners. Part of trial team that obtained $256.45 million jury verdict against car manufacturer for fraud. Part of trial team in lender-liability jury trial for negligence and breach of contract. Obtained complete defense verdict and $7 million in compensatory damages on cross-claims. Part of trial team in breach of contract and fiduciary duties action arising out of clients’ $30 million acquisition of local company. 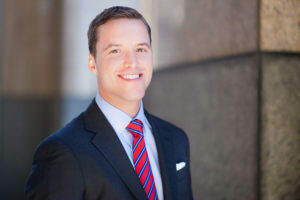 Obtained $3.3 million in compensatory and punitive damages and received complete defense verdict in connection with oppositions’ $10 million claim. Obtained $119.5 million settlement in public-nuisance action by Los Angeles County against Southern California Gas Company. Obtained $250,000 settlement on $20 million negligence claim against multinational telecommunications company. Represented California-based law firm with 150+ attorneys in defense of $600 million malpractice suit arising from trust and estate plan created for the founders of the Alta Dena diary. Represented NBA consultant in copyright infringement case brought by owners of broadcast copyrights. Represented music manager in lawsuit against former client, an internationally renowned musician.